Tom Conolly of Castletown Hunting with his Friends, 1769. Robert Healy, Irish, 1743-1771. Grand-nephew of Ireland’s richest commoner Donegal-born William Conolly (1669) who went on to become Speaker of the Irish House of Commons. Very Rare and unique Pastel, chalks, and gouache on paper (20 1/4 x 53 1/2 in.) On loan from Yale Center for British Art, Paul Mellon Collection. The new exhibition at the Art Institute of Chicago, Ireland: Crossroads of Art and Design, 1690 – 1840, is a legacy tribute to the last Knight of Glin. Popularly known as the “long 18th century,” beginning with the ascendancy of William and Mary over the Kingdoms of England, Scotland and Ireland in 1689 and culminating at the brink of Ireland’s Great Hunger in the 1840s, these were not just years of hardship and uncertainty in Ireland but they also mark a period of extraordinary creative accomplishment. At a time of grand ideas, of the European Enlightenment and the French and American Revolutions, of political ferment as the country chafed under English rule, the arts flourished in Ireland in a kind of neglected renaissance. Despite the tumultuous upheavals through the century, disciplines such as philosophy, art and science thrived, and Irish artisans and craftspeople, under the patronage of the landed Anglo Irish gentry, produced works of exquisite art, architecture, design, and decoration. 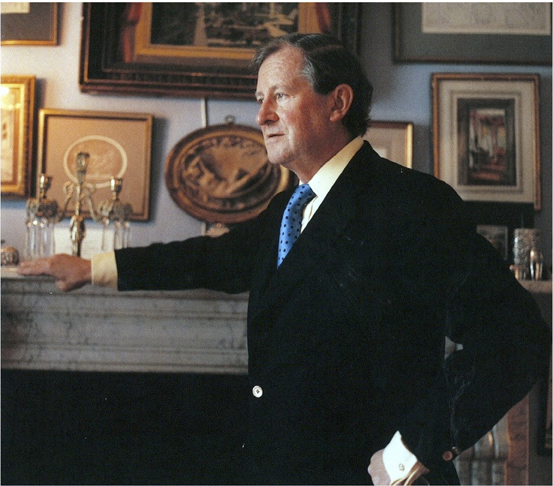 Desmond FitzGerald, the last Knight of Glin, who died in 2011, inspired the exhibition. An art historian and author, he lived in Glin Castle, County Limerick with his wife Olda and their three daughters. Now, opening on St. Patrick’s Day, the richness and complexity of this golden era are reclaimed in a groundbreaking exhibition at the Art Institute of Chicago. Three hundred treasures, on loan from public and private collections throughout the United States, will be on view together for the first time. 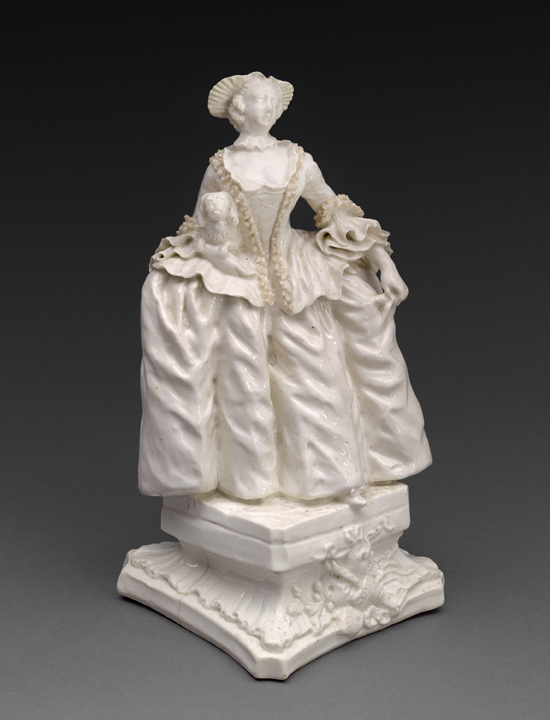 Ireland: Crossroads of Art and Design, 1690 – 1840 runs from March 17th through June 7th. The crossroads of the title is an apt metaphor. Historically, the intersection of four roads was always a lively Irish place, the center of popular music and dance before the Catholic bishops relegated these activities to the parochial dance hall. Now, across several galleries in the Art Institute, the Irish creative crossroads becomes an open place where art and design are shared with the public. John Kirkhoffer Walnut Secretary Cabinet, 1732. 18th-century Dublin was a booming city, attracting furniture makers and customers from England and the rest of Europe. The Kirkhoffer families were German Protestants who had fled to Ireland to escape religious persecution. 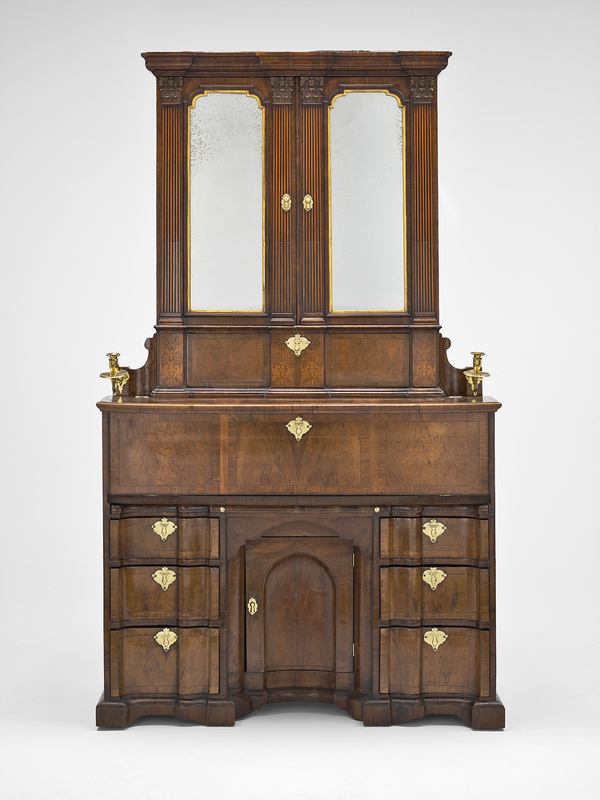 Jonathan Swift, author of Gulliver’s Travels, is said to have owned one of these cabinets. Passionate that a show of this stature would “waken up the world to a staggering array of art that was manufactured in Ireland during this period,” FitzGerald, who died September 14, 2011, was a relentless advocate, insisting that the exhibition include paintings, sculpture, and architecture of the period as well as bookbinding, ceramics, glass, furniture, metalwork, musical instruments, and textiles. The organizers agree that this show is his legacy. Mellon Collection, and from the Art Institute’s own holdings. Prominent private collectors represented include Picasso biographer John Richardson, Kay and Fred Krehbiel, and the Krehbiel Family Foundation and, also from Chicago, the O’Brien Collection. 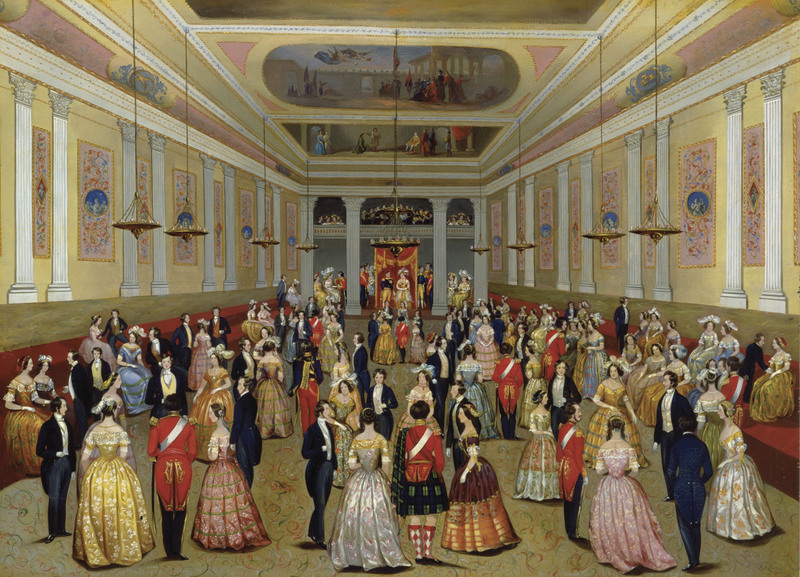 Irish American art collectors Brian and Eileen Burns of Florida have contributed several artworks including their noteworthy 19th century painting, “The State Ballroom, Saint Patrick’s Hall, Dublin Castle,” last seen publicly in New York at the Irish Consulate’s 2014 exhibition, A Monumental Legacy: Archbishop John J. Hughes and the Building of St. Patrick’s Cathedral. In addition to the objects on view, the Art Institute will host talks by historians and writers who will offer colorful and detailed insights into the lives of Ireland’s artists and craftspeople of this fertile period. The Irish Georgian Society will convene a full day Symposium at the museum on March 21. Two Handled Samuel Walker. Silver Cup and Cover, c. 1761 – 1766. On loan from Philadelphia Museum of Art. Samuel Walker was one of a famous family of silversmiths from Dublin. 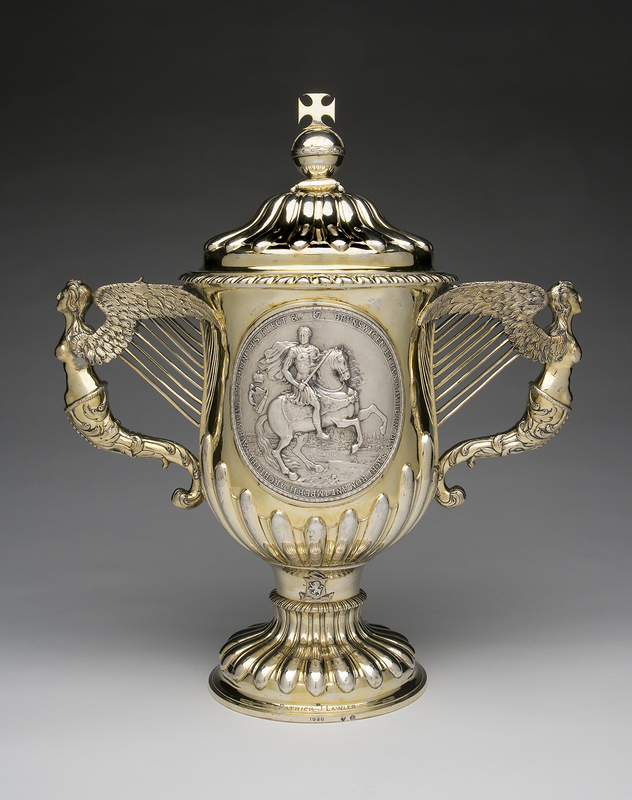 The exhibition also features an extensive collection of Irish silver objects from the San Antonio Museum of Art, Texas. American-born curator Monkhouse comes to thesetreasures with an interest dating from his early work as a student researching for the Irish Georgian Society as it struggled to protect buildings of architectural merit in Ireland. His distinguished career spans student years of art history at the University of Pennsylvania and the Courtauld Institute of Art in London before a 15-year stint as Curator of European and American Decorative Arts at the Rhode Island School of Design. From there, he went on to the Carnegie Museum of Art in Pittsburgh and then the Minneapolis Art Institute. In 2007, he began his current position as the Eloise W. Martin Curator and Chair of the Department ofEuropean Decorative Art at the Art Institute of Chicago. 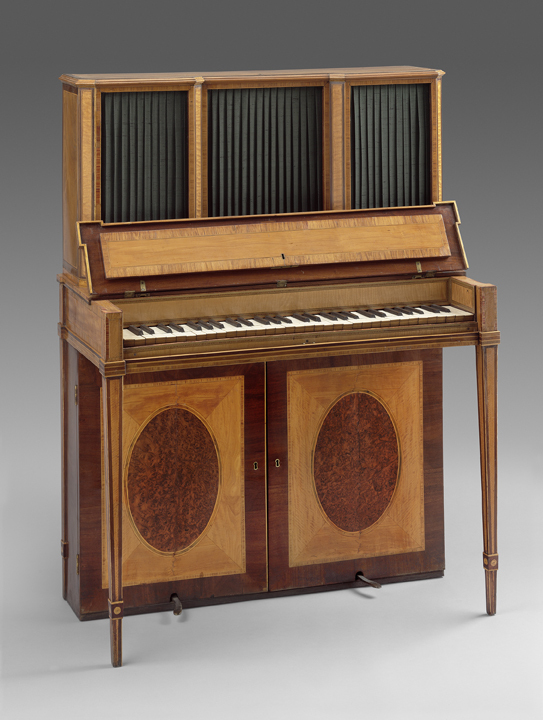 Robert Woffington First Upright Piano, 1790. Created in Dublin’s Grafton Street noted instrument workshop. On loan from the Museum of Fine Arts, Boston. Irish adventurer. The film casts a brilliant light on the period with its attention to detail and the spirit of the time, and it garnered a host of international honors for cinematography, lighting, sets, costumes, and, especially, music performed by Ireland’s traditional group The Chieftains. 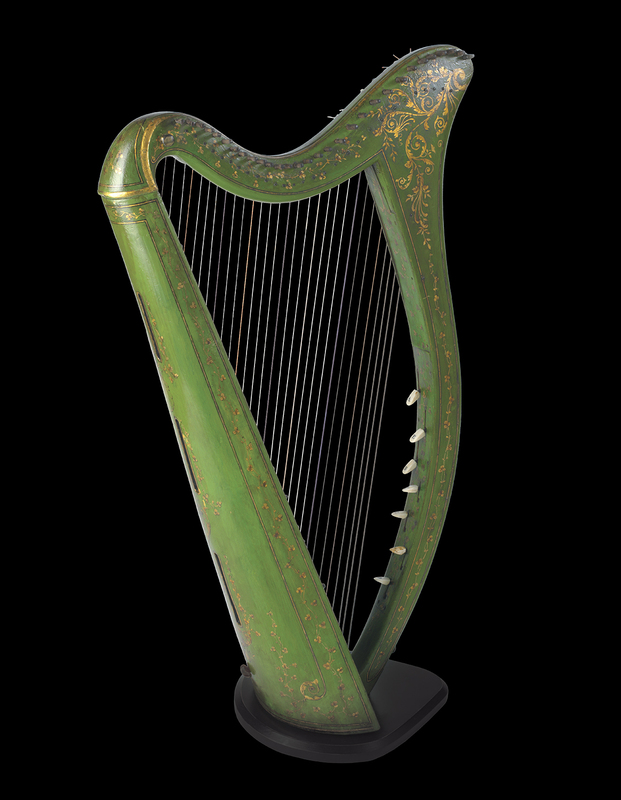 John Egan Portable Harp, c. 1820. John Egan was an Irish musical instrument maker who is considered the father of the modern Irish harp. Egan overcame the restrictions of the traditional Irish harp by creating “portables”. Eighty of his classic harps are known to exist. The O’Brien Collection. are profiled in Stella Tillyard’s 1994 book, Aristocrats. Kubrick filmed additional scenes at Carton, another architectural masterpiece of the era also featured in the exhibition, and at the estate’s thatched Shell Cottage, decorated inside and out with seashells. This gem was built for Emily Lennox, Duchess of Leinster, mother of doomed 18th-century patriot Lord Edward Fitzgerald, himself born at Carton. For two hundred years Carton was Ireland’s finest Georgian-created parkland landscape of 1,100 acres – until, in 2000, it was unfortunately converted into a golf course. The city home of the Fitzgerald family was their Dublin palace, Leinster House, present-day seat of the Oireachtas, the parliament of the Republic of Ireland. This building too served as a crossroads of inspiration when, in 1792, President George Washington laid the cornerstone for the White House, designed to reflect Leinster House by Irish-born architect James Hoban. The idea of an Irish cultural golden age is certainly at odds with the identity that has gripped Ireland since the end of the Great Hunger and propelled Irish emigration to America. This narrative of Irish-American history is largely that of refugees rebuilding their lives an ocean away from their homeland. 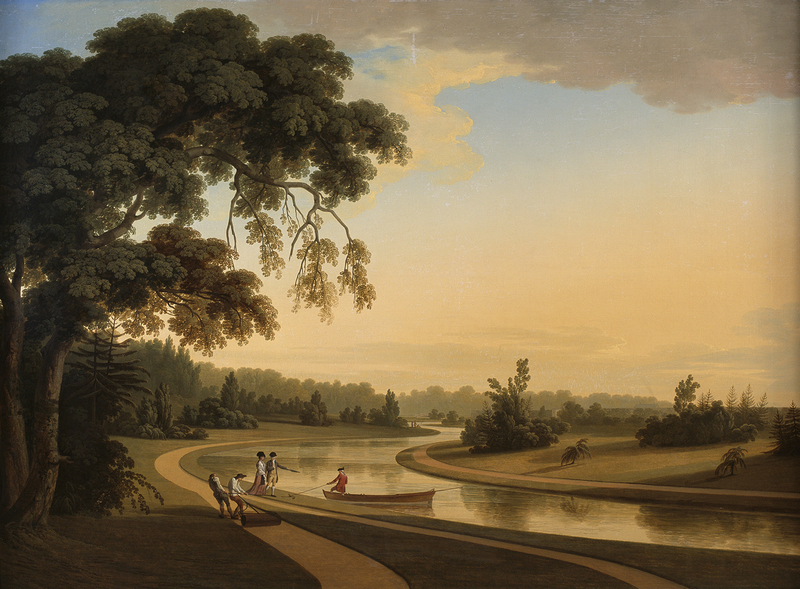 The Sheet of Water at Carton, County Kildare with the Duke and Duchess of Leinster and gardeners rolling a serpentine path, 1775 – 76. Private Collection. Thomas Roberts. Carton was the birthplace of patriot Lord Edward Fitzgerald, son of the first Duke and Duchess of Leinster. Under the impetus of the official 1997 Irish commemorations of Black ’47, the Famine’s most devastating year, Departments of Irish Studies at universities worldwide have begun examining the political and economic forces that underwrote the 1840s potato failure. Public monuments have been erected on both sides of the Atlantic, and Quinnipiac University has established both the Ireland’s Great Hunger Museum to showcase a remarkable art collection and its academic partner, the Ireland’s Great Hunger Institute. These reexaminations illustrate a paradigm shift in understanding, of which the present exhibition is another welcome manifestation. national narrative based on the contributions of Ireland to its global and regional partners. Progress has been made toward repairing Ireland’s longstanding connections with Britain; some suggest that the renewed interest in Ireland’s earlier history began with Queen Elizabeth II’s visit to Ireland in 2011 and the reciprocal state visit to the United Kingdom by Ireland’s President Michael D. Higgins last year. As Simon Schama, Columbia University professor of history and art, wrote in his review of Aristocrats, “The best histories ask us to think about important things.” The same is true of great exhibitions. Through its presentation of the cultural history of the time, Crossroads invites the kind of reflection from which important ideas emerge. The State Ballroom, St. Patrick’s Hall, Dublin Castle. F.J. Davis, c.1845. This work records one of the major occasions of Dublin’s annual social calendar. Until 1922 the castle was the seat of British Government rule in Ireland. It is now part of the Government of Ireland’s official buildings. On loan from the Brian P. Burns Collection of Irish Art. Thus, the meaning of crossroads extends beyond both the current watershed moment and this exhibition. That public space, that lively intersection, referring to the fluid exchange of inspiration that has moved among Ireland, England, and America, has emerged from conflict and suppression as well as from the spirit of celebration. Old and new rivalries are embedded in this exhibition, but the top notes of accomplishment ring out a joyful song. Wonderful stuff, Turlough, about what looks like a ground-breaking event in an area of the Irish contribution to the world of art not normally promoted in America. Hope the exhibition is as good as the article.